Barbara A. Byrne, D.V.M., Ph.D.
Lark L A Coffey, Ph.D.
Research Interests: How human neutrophils process dynamic extracellular chemical cues to guide their behavior. Patricia A. Conrad, D.V.M., Ph.D.
Samuel L. Díaz Muñoz, Ph.D.
Research Interests: Our research focuses on the evolution, ecology, and molecular mechanisms of virus-virus interactions using genomics, experimental evolution, and environmental microbiology. The lab currently works on genetic exchange in two segmented RNA viruses: Cystovirus phages that infect Pseudomonas bacteria and influenza A viruses. Research Interests: Microbiota-gut-brain axis. Characterizing the microbiota-gut-brain axis in models of inflammatory bowel disease and following infection with an enteric bacterial pathogen. Determining the mechanisms involved in the development of the microbiota-gut-brain axis in early life. Research Interests: Biophysical foundations of cell and molecular behavior, and their role in immunity, infectious disease, cancer metastasis etc. Marcelo J. Kuroda, M.D., Ph.D.
Research Interests: 1) Determining the role of monocyte/macrophages in the pathogenesis of infectious diseases, chronic inflammation and aging; 2) Examining the immunology of aging, and; 3) Assessing the roles of macrophages in the pathogenesis of TB using the macaque model of TB/SIV. Christopher J. Miller, D.V.M., Ph.D.
Richard V. Pereira, D.V.M., Ph.D.
Research Interests: We study host-parasite interactions between the intracellular parasite Toxoplasma gondii and its hosts. Toxoplasma can cause severe disease but its virulence differs, often quite dramatically, depending on the infecting strain and the host. Our focus is to identify genes of Toxoplasma that modulate the host cell and/or determine virulence, host genes and pathways that determine resistance/susceptibility, and to characterize their specific interactions. Research Interests: Mosquito-borne flaviviruses such as dengue virus and Zika virus are a source of emerging and re-emerging infectious diseases. We study how these viruses hijack host machinery through virus-host protein interactions to better understand their replication and develop therapeutics. We use complementary techniques of global proteomics, genetics, and high-throughput sequencing to tackle these questions. Research Interests: Dr. Slupsky's research includes understanding the impact of diet on human health from the perspective of nutrition, the gut microbiome, and host-microbial co-metabolism. 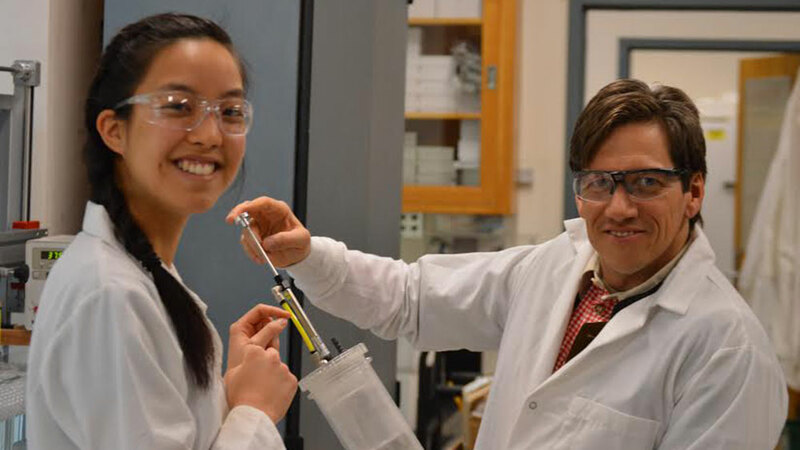 She uses a multi-discplinary research approach that integrates metabolomics with clinical measures, global gene expression profiles, as well as microbial community analysis to understand the intimate link between our gut microbiome, metabolism, and health. Jay V. Solnick, M.D., Ph.D.
Research Interests: Understanding and predicting how microbial communities influence interactions between plants and insects. Ice cores collected from the bottom of ice-covered lakes in Antarctica were imaged by CT to analyze microbial colonies and inorganic composition. Left: photograph of the core. 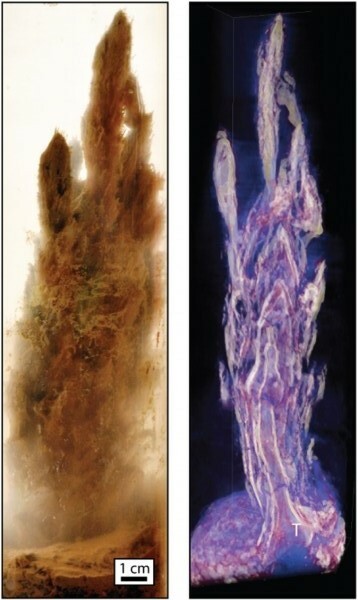 Right: Rendered volume with user-defined color and transparency mapped onto the CT scan (software developed through U.C. Davis KeckCAVES). White – sand grains and carbonate layers that precipitated within the microbial communities; Red – finer diffuse sediments and carbonate; Blue – microbial mat; Transparent – ice. (Photo provided by D. Sumner, T. Mackey; Earth and Planetary Sciences, U.C. Davis and https://bme.ucdavis.edu/cmgi/about-us/image-gallery/). 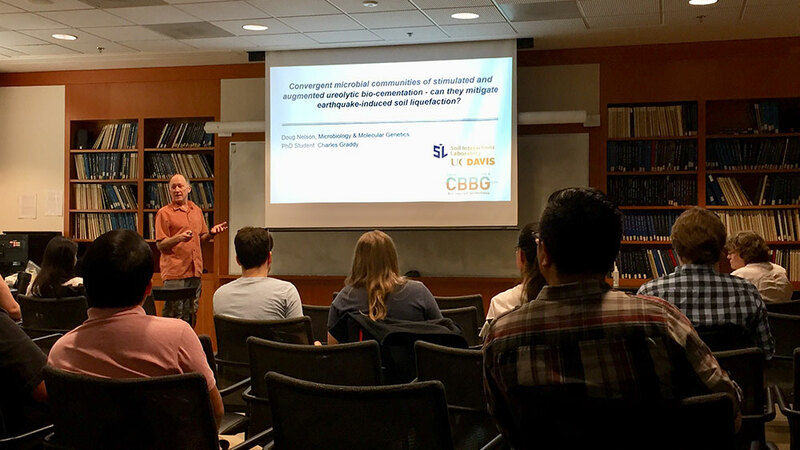 Dr. Nelson presented work done by graduate student Charles Graddy in a talk entitled “Convergent microbial communities of stimulated and augmented ureolytic bio-cementation– can they mitigate earthquake-induced soil liquefaction?” (May 2018, Photo by Jessica W. Toan). Please check out the weekly MIC 291 microbiology seminar schedule at https://mgg.ucdavis.edu/seminars.